For seven hundred years Ancient Alexandria was the greatest center of learning and culture in antiquity - a brilliant crucible in which the civilizations of ancient Greece and Egypt intermingled and absorbed streams of wisdom from throughout the known world. Its legendary Library and Museum made it possible for many of history's greatest philosophers and scholars to flourish, and for the city to become the cradle of Hemeticism, Gnosticism and Neoplatonism. Its leading figures include Alexander the Great, Euclid, Cleopatra, Philo, Clement, Plotinus and Hypatia. This conference aims to bring vividly to life the profound and beautiful worldview that emerged in antiquity's most influential center of esoteric wisdom. The conference also includes expeditions to sacred sites in and around Alexandria, and evenings featuring cultural presentations of music and poetry. Co-sponsored by the New York Open Center and the Alexandria-Mediterranean Research Center at the Bibliotheca Alexandrina. Discounts and scholarships available to ESSWE members and associates. Crystal Addey, Ph.D., is Tutor in Religion and Late Antiquity at Cardiff University and part-time Tutor for the Sophia Centre for the Study of Cosmology in Culture, Department of Archaeology and Anthropology at the University of Wales, Lampeter. She wrote her doctoral thesis on the role of oracles, divination and theurgy in the writings of the Neoplatonist philosophers Porphyry and Iamblichus. Christopher Bamford is the editorial director of SteinerBooks and Lindisfarne Press. He is the author of An Endless Trace: The Passionate Pursuit of Wisdom in the West, and has written numerous introductions to the works of Rudolf Steiner. A speaker at all nine of the Esoteric Quest conferences, he co-authored most recently Green Hermeticism: Alchemy and Ecology. Jay Bregman, Ph.D., is Professor of History and Religious Studies at the University of Maine (USA). He has written on the fourth century CE Neoplatonists Synesius and the Emperor Julian. He also continues to research Neoplatonism in North America, especially the work of the Transcendentalists. He has a musical background and an interest in recent influences of Pythagoreanism on Jazz and Minimalist composers. Alan Cardew, Ph.D., is Director of the Centre for Interdisciplinary Studies and a member of the recently formed Centre for the Study of Myth at the University of Essex. He has recently written on Jung and Heidegger, Hermeneutics, and Nietzsche, is currently pursuing research on the interpretation of myth, and is working on a book on the archaic and the primordial. Brian Cotnoir is an independent researcher. He has been studying and experimenting with alchemical procedures for 35 years and is author of The Weiser’s Concise Guide to Alchemy. John Dillon was Regius Professor of Greek in Trinity College, Dublin, between 1980 and 2006. He is director emeritus of the Dublin Center for the Study of the Platonic Tradition. His books include The Heirs of Plato: A Study of the Old Academy, Salt and Olives, and most recently a novel, The Scent of Eucalyptus. Mostafa El-Abbadi, Ph.D., is Professor Emeritus of Classical Studies at the University of Alexandria and President of the Archaeological Society of Alexandria. His publications include The Life and Fate of the Ancient Library of Alexandria, The Isle of Pharos in Myth and History, and Alexandrian Hellenism. Normandi Ellis is the author of five books, including the acclaimed Awakening Osiris, translations from the Egyptian hieroglyph. Her nonfiction work includes Dreams of Isis and Feasts of Light. Two more books on Egypt are forthcoming in 2011. A writer and editor, she leads trips to Egypt and owns and operates the PenHouse Retreat Center for writers and spiritual seekers. Ahmed Etman, Ph.D., is Professor of Classics and Comparative Literature in the Faculty of Arts at Cairo University, and Chairman of the Egyptian Society of Greco-Roman Studies. He has written a number of plays including Cleopatra Worships Peace and The Blind Guest Restores His Sight. David Fideler, Ph.D., studied Hellenistic philosophies and religions and was editor of the journal Alexandria: Cosmology, Philosophy, Myth, and Culture. His other works include Jesus Christ, Sun of God: Ancient Cosmology and Early Christian Symbolism, Love’s Alchemy: Poems from the Sufi Tradition, and Nature’s Intelligence: A Little History of the World Soul and the Living Universe (forthcoming). Ellen Goldberg, M.A., is a psychotherapist who has been working within the Hermetic Tradition for thirty-five years. She has been on the faculty of the N.Y. Open Center since 1985 and taught at six previous esoteric conferences. Ellen is the founder and director of the School of Oracles and has a private psychotherapy practice in New York City. Clare Goodrick-Clarke, M.A., is the author of G. R. S. Mead and the Gnostic Quest, Alchemical Medicine, and The Hermetic Art of Alchemy, forthcoming from Oxford University Press. An honorary fellow of the University of Exeter (UK), Clare teaches modules on the esoteric body and the history of alchemy in the MA program in Western Esotericism. Nicholas Goodrick-Clarke, D.Phil., is Professor of Western Esotericism and Director of the Exeter Centre for the Study of Esotericism (EXESESO) at the University of Exeter. He is the author of The Western Esoteric Traditions and various studies of Ramon Lull, Paracelsus, John Dee, Emanuel Swedenborg and Helena Blavatsky. 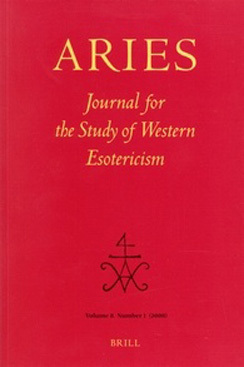 He is general editor of the Western Esoteric Masters Series and joint-editor of Aries: Journal for the Study of Western Esotericism. Yasmine Hussein is a researcher at the Alexandria & Mediterranean Research Center, affiliated with the Bibliotheca Alexandrina in Egypt. Her research writings, articles and presentations specialize in issues related to religious philosophy, history and the archeology of the ancient world. 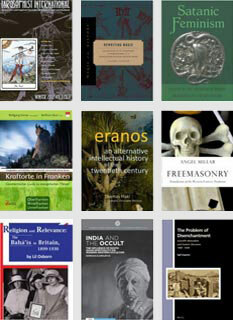 Her interests also concern perceptual and conceptual shifts in religious history. Kyriacos Markides, Ph.D., is the author of many books including Mountain of Silence, Riding the Lion, Gifts of the Desert, and The Magus of Strovolos. A professor of sociology at the University of Maine, he is a native of Cyprus and remains deeply connected to its culture and history. Mervat Abdel Nasser M.D., M.Phil., was born and educated in Egypt and is currently a visiting research fellow at the Institute of Psychiatry, King’s College, London. The author of several books in Arabic on ancient Egypt, ancient Egyptian thought, ancient civilizations and the history of ideas, she is chairperson of The New Hermopolis which aims to establish a cultural village near the ancient site of Hermopolis. Richard Noll, Ph.D., a clinical psychologist, is Associate Professor of Psychology at Desales University in Pennsylvania. He has conducted field work among the Siberian Tungus shamans of northeast China, and has written two books on Jung. His next book, American Madness: The Rise and Fall of Dementia Praecox, will be published by Harvard University Press in 2011. Marjorie Roth, DMA, Ph.D., is Associate Professor of Music at Nazareth College in Rochester, NY, where she teaches Music History, Studio Flute, Women’s Studies, and directs the Honors program. She has recently published in a collection of essays on Music & Esotericism and, in August 2009, gave a presentation for the NY Open Center on “Spiritualism & Feminism in 19th Century Upstate NY”. Kyriakos Savvopoulos, Ph.D., is a researcher at the Alexandria & Mediterranean Research Center and lectures at the Alexandria Center for Hellenistic Studies. Ralph White is co-founder and creative director of the New York Open Center, one of America’s leading institutions of holistic learning, and editor of Lapis Magazine Online. He has directed and organized a series of nine international conferences on Western Esotericism, of which this is the latest.